A handwritten application indicating the candidate’s reasons for choosing a specific programme in the Faculty of the Social Sciences and Management of UCAC and a curriculum vitae. A photocopy of the acquired certificates (O and A Levels). The originals shall be required at registration. A photocopy of Report Cards of form 5 and the two years of High School. A recent medical certificate obtained no more than two months prior to the examination. 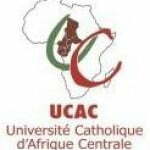 An application fee of 20.000 FCFA.